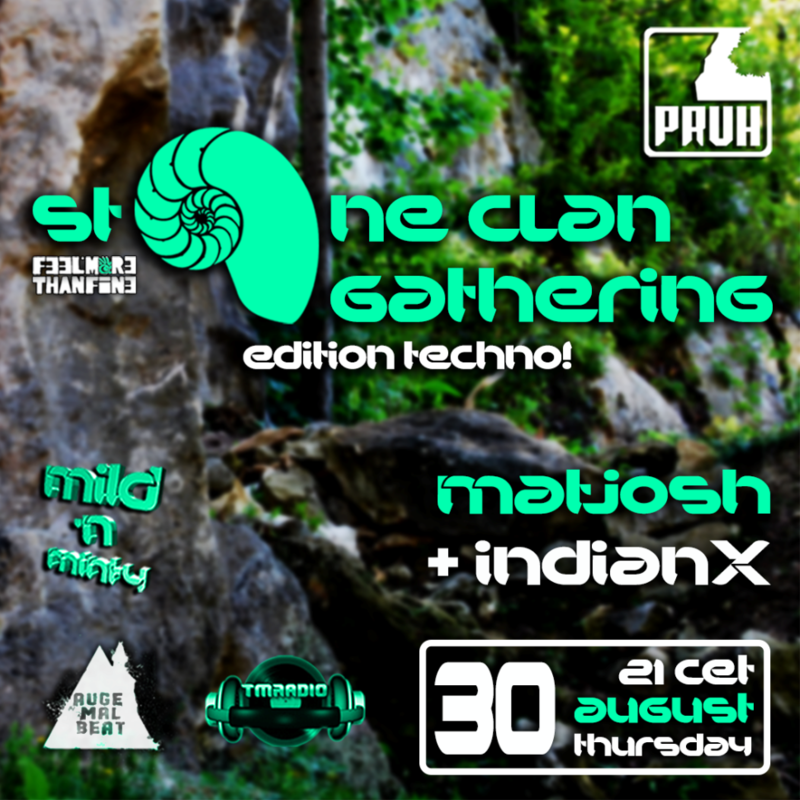 Stone Clan Gathering - Techno Edition! > Collaboration of crews, DJ and venue owners as "One for all - all for one!" - Making and owning events together! > Music expression of different Techno genre from 124BPM up to 130BPM, but closing back on 125BPM. > Daylight event as a main part of event happening with shorter evening epilogue. > Connecting the brotherhood community that lives in Alps region together since ever. > Human relationship as highest value in world of capital. > Be the change you wish to see round you! Don't expect something from others that can't give you. Final 4th step in New Wave of 2018 Great Dance Coalition!